Perhaps not that well known outside certain circles, New York brand Master & Dynamic creates audio products with a focus on high-end materials and expressive design. Such luxury does not come cheap, with their headline wireless speaker, designed by Sir David Adjaye, selling for an eye-watering $1,800. 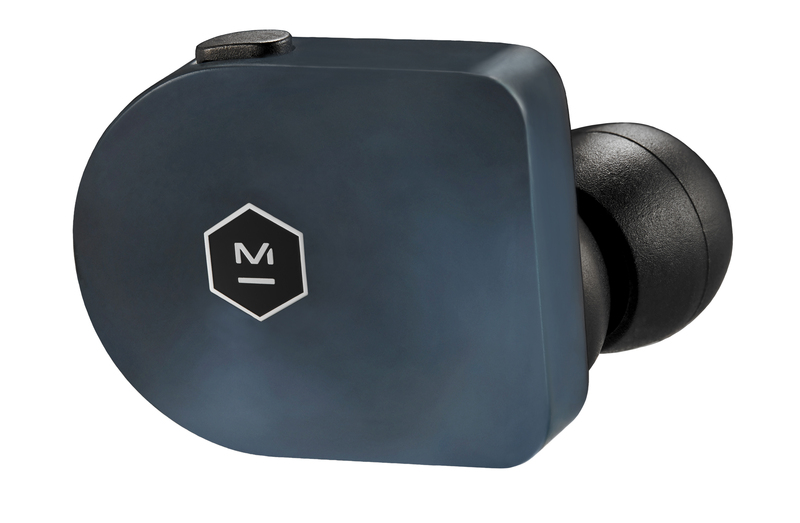 The MW07 are the company’s first true wireless earbuds, and thankfully they won’t be quite so pricey. As with Master & Dynamic’s other headphones and earbuds, these have been manufactured with some of the most premium materials available. 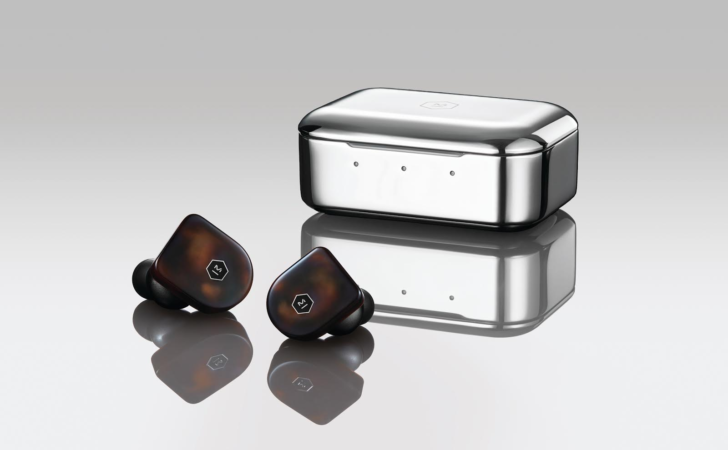 The drivers are made from 10mm beryllium for a warm, expansive sound, with stainless steel used for the acoustic enclosures, and an external facade handcrafted from acetate. The antennas contain two patent-pending technologies along with Bluetooth 4.2 for a 20m range and reliable connectivity. 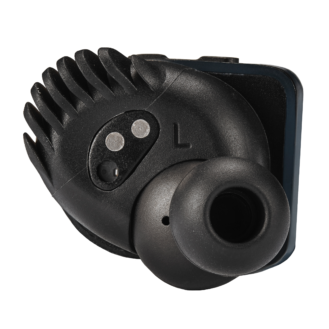 Near Field Magnetic Induction (NFMI) is used to connect the master to the secondary earbud, and support for Aptx and AAC is on board. Battery life of 3.5 hours is promised, with a further 3x full charges offered by the USB Type-C hand-polished stainless steel case for 14 in total. If you’re in a hurry, 40% charge can be reached in just 15 minutes. A single button on each earbud has been preferred over touch controls, and they come with two sizes of silicone wings to ensure a snug fit. Optical sensors are used to pause and resume playback when the earbuds are taken out. Although not mentioned in the press release, Master & Dynamic have confirmed to me that these do have Google Assistant capabilities. An IPX4 rating means they are at least splash proof. 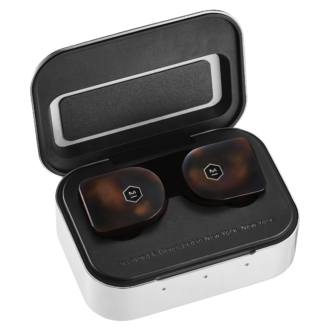 The Master & Dynamic MW70 true wireless earbuds are on sale now for $299 on the official website. Four interesting colorways are available (from left to right, above): Grey Terrazzo, Steel Blue, Tortoiseshell, and Matte Black. Master & Dynamic’s signature sound, as well as the control buttons on each earphone that provide a sleek user interface. placement so that the sound is both played and paused when the earphones are placed in and removed from the user’s ears. An innovative, detachable silicone “fit wing,” which comes in two sizes, along with five ear tip sizes, ensure the earphones can be comfortably and securely fitted to any ear. 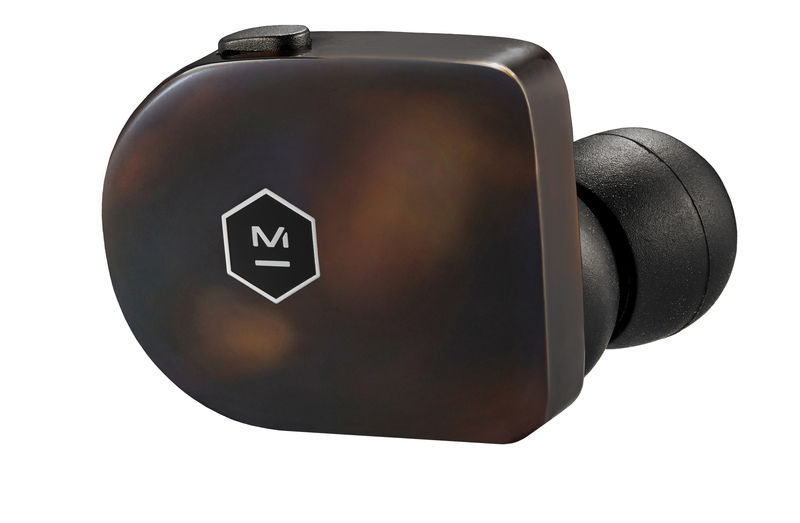 Placing the MW07 in the ear is remarkably easy, simply requiring a one-gesture placement from case to ear. 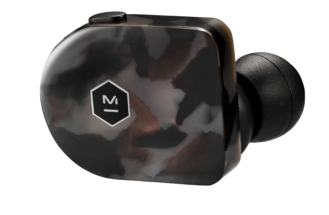 To further blend form and function, the MW07 True Wireless Earphones are also at the forefront of mobility, providing up to 14 hours of on-the-go listening. 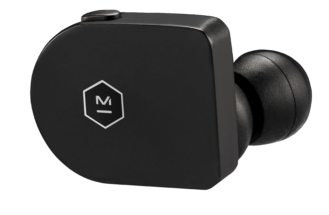 The earphones themselves hold 3.5 hours of battery life when fully charged, while the elegant hand-polished stainless-steel charging case holds an additional 10.5 hours of listening time and can be charged to 50% in just 15- minutes via USB-C cable, making the MW07 the ultimate travel and communication tool. For more information on Master & Dynamic’s MW07 True Wireless Earphones ($299), please visit www.masterdynamic.com.